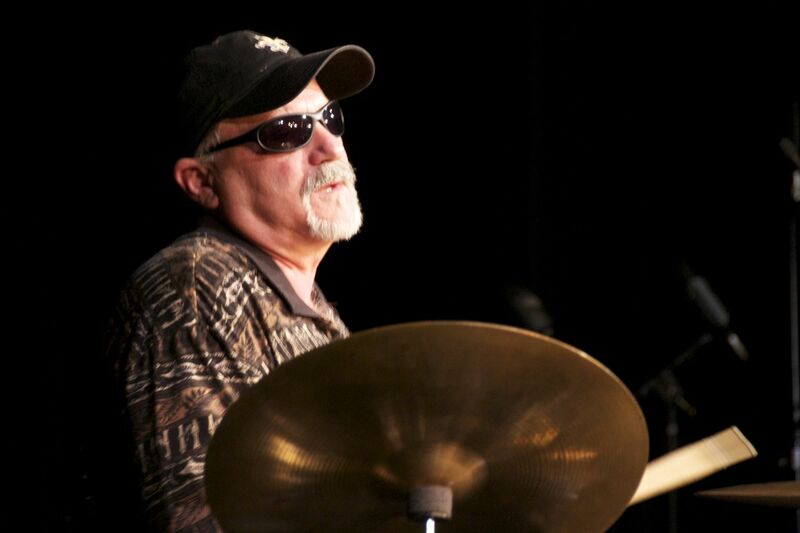 Former drummer and percussionist for Louisiana's Kingfish, Dale Dougay has fond memories of his earliest exposure to the live music scene in his hometown of Lake Charles, Louisiana. "It was those Friday nights back in 1964...the sounds of French music coming over the radio, broadcast live from the Shamrock Club...that caught my ear." Dougay recalls how as a youngster, he would pull two vinyl kitchen chairs together during the radio broadcast, and while sitting on one, would use the other as his "drum set", his drumsticks being whatever implements he could find. After ruining enough chairs, he must have convinced his folks that a set of drums was in order. Dougay started drumming with local bands at the very young age of fourteen. He recalls that he was allowed to be in the bars and nightspots, but was not allowed to leave the bandstand. For approximately five years he played with various Cajun and Country bands in Louisiana and Texas. In the early 1970's, now old enough to wander off the bandstand, Dougay began playing in a group called Southbound. Specializing in Rock, Swamp-pop and Country, they performed in the Lake Charles area for approximately five years. In 1976, Dougay helped transform the acoustic bluegrass band Javelina, whose members included Louisiana's Kingfish musicians Dave Savario and Rob Broussard, into a "NewGrass" group by adding his talents and a full set of drums. When Javelina disbanded in 1981, Dougay took a break from the full-time music scene, playing jobs occasionally with established groups. After a few years, however, he realized that music was "in his blood" and he was ready to play again. Again teaming with Dave Savario, Dougay became part of the local band The Homeboys, playing a mixture of Rockabilly and Blues for about a year. Desiring to play more dance-based music, they then helped form a variety dance band called The Lifters, which along with the addition of Steve Dougay and Chris Miller, became one of the more popular party and club bands in Southwest Louisiana. After The Lifters had been performing for nearly nine years and after the departure of Steve Dougay, Dale Dougay, Savario and Miller decided it was time to branch out into another direction. With the addition of Rob Broussard on vocals and bass, the four formed the group Louisiana's Kingfish in 1998, combining their talents and love for their Cajun roots to produce the "unique blend of Cajun-flavored music" for which they were known for during the bands existence from the late 90s through 2005. Dale left Louisiana's Kingfish and joined with Chris Miller and Bayou Roots in the early spring of 2005. In 2008 Dale moved to Austin Texas and joined Charles Thibodeaux and the Austin Cajun Aces band.